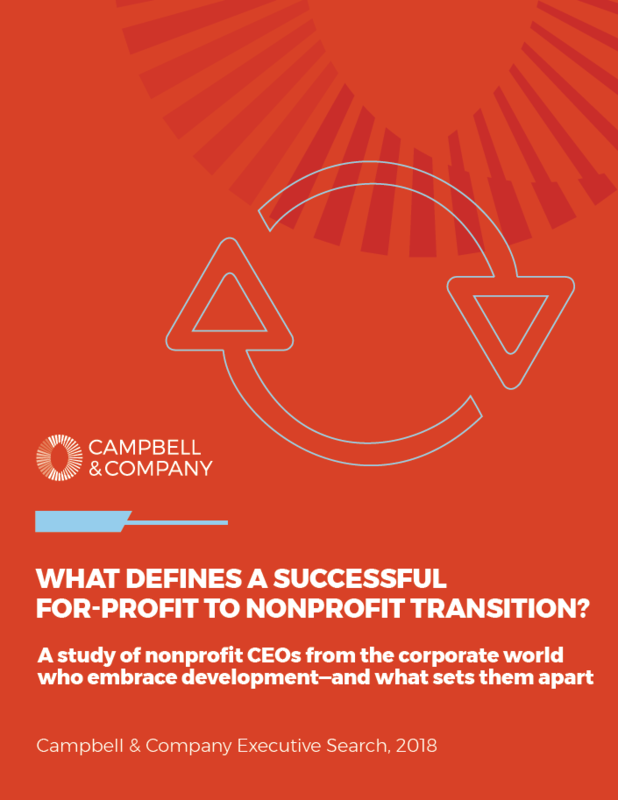 WHAT DEFINES A SUCCESSFUL FOR-PROFIT TO NONPROFIT TRANSITION? Given that the CDO role does not exist in a corporate context and fundraising is an important responsibility for nonprofit CEOs, we sought to learn how these relationships evolve over time. This report presents four case studies, common themes, and recommendations for both CEOs and CDOs.